IOC: Mediterranean games without savate? Is savate Mediterranean sport? YES OF COURSE. THE MOST TYPICAL OF ALL fighting sports. But why we don't see savate - boxe francaise on Mediterranean games? Karate was part of these games and wu-shu kung fu (was there enough Chinese influence in Mediterranean culture and sports last centuries?). http://www.cijm.org.gr/en - AT THE MOMENT THIS BRILLIANT OLYMPIC REGIONAL GAMES DON'T POSES ITS OWN WEBSITE. TRAGEDY? COMEDY? DRAMA? There was also Stephane Doya. 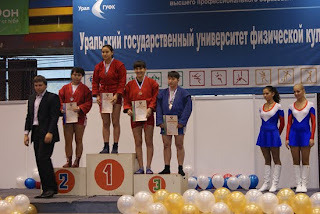 International European Student Boxing Tournament took place in Moscow December 10-15, 2011. 75 participants from 16 countries took part in the competitions. Participants came from Azerbaijan, Belarus, Denmark, Estonia, France, Greece, Iceland, Ireland, Latvia, Lithuania, Poland, Republic of Moldova, Romania, Russian Federation, Sweden and Ukraine. The event was organized by the Russian Students Boxing Federation, Russian Boxing Federation, Boxing Development Centre Alexey Kiselev and Russian Students Sport Union (RSSU) under the patronage of the European University Sports Association (EUSA) and European Boxing Confederation. Legendary fight where by my opinion the best savate fighter of all times Richard Sylla represented true savate during all fight with his woody opponent Carbin. This was the fight beetwen savate - boxe francaise and new composed and to Europe imported and newly created Muay thai sport. Lucien now prepares MMA and K1 fighters and Sylla is still in love with savate. Hat off to Richard. Real savate hero. If there would be a savate museum of all boxe francaise legends there will certainly be a great place for a fighter who gave everything to our sport savate Richard Sylla. competed University men savate championship 2011, Nis, Serbia. The best fighters were students of Savate boks club "Ruma" and Savate club "Goran Ostojic" - Belgrade. 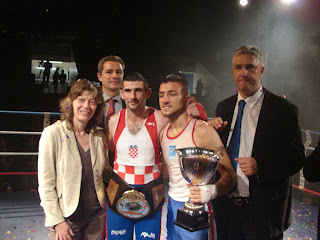 Winners of University men savate championship Serbia 2011 are candidates for a World university savate championship 2012 (FISU). THERE WAS ALMOST SEVERAL MONTHS AGO VERY CLEAR STATED THAT THERE WILL BE NO - World university savate championship 2012 (FISU). BUT IF IT WILL HAPPEN, THAN WE HAVE TO THANK THIS PARANORMAL ACTIVITY OF PREDICTING THE NEAR FUTURE. All in all - Serbian savate federation is strong savate federation. It works very good and all activities in university savate sport are more than welcome. So all the best to Serbian savate. 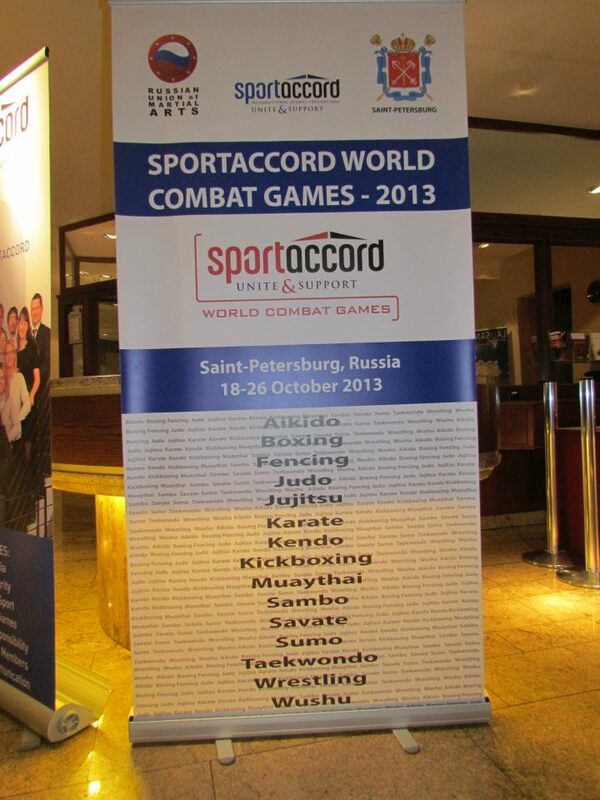 SportAccord World Combat Games will be held from 19 to 26 October 2013. The Opening Ceremony is scheduled for 18 October. Children at work. Nice job trainer. Zeljko Baljevic talking very positive about savate introducing european history of french boxing. Thank you Zeljko. 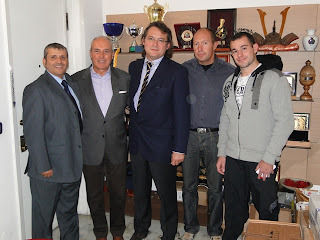 Montenegro will organise also Savate combat european championship 2012. 30.000 children love their parents. Is this the opportunity to promote savate on university level in Poland? WARSZAWA – The 25th of November 2011 was a critical moment for the Polish University Sport Association (AZS) – that day came into operation the first TV station in AZS – AZStv. Till now the Polish Association promoted its activities on AZS clubs websites, in monthly magazine “University Sports Review”, and in recent years on its youtube.com site. Now to all these media, television has been added. It has been working only for few days now, so it’s too early to estimate its effectiveness, but surely AZS entered a new era thanks to AZStv. The idea of creating a television channel was born among two members of the AZS club from Opole: Tomasz Wrobel and Tomasz Zajaczkowski. When AZS activists were looking for a new method to voice the AZS work, it turned out that television (especially internet television) today is one of the most popular tools of selling information to the general public. “Nowadays people read less, because it takes time. They prefer to see information compounds as good made short films, with an interesting, funny comment. Information served in such manner reaches the audience easier and faster than prepared in any other method.” – says Tomasz Wrobel. The preparations of the TV Channel took a year. The guys with their heads full of concepts had a lot of work during the preparatory year – everything was done and funded by them. They worked out plans and assumptions of the TV, created a logo, built a web page and prepared some trial materials. Camera operator and editor, Przemyslaw Nikiel turned out a big support for the TV. He joined the TV staff and now is responsible for the technical preparations of AZStv. The forth member of the staff is the mysterious „Kuguar” (his/her identity and role in AZStv are still unknown). The young journalists don’t intend to work alone. They look for a co-operation with the AZS members and clubs. It is possible that we will see the effects of the cooperation soon. Short after a debut of the TV Channel, AZS clubs and environments consider to air their films, materials or prepare new programs for the first TV station within the Association. What kind of materials we will see on AZStv? First of all, information about AZS activities. During the academic year, the Association organizes Polish University Championships in a dozen disciplines and several other smaller and bigger sport events, conferences and trainings. “AZStv is a good opportunity to reveal AZS from the inside. We would like to promote innovative things, initiatives in our Association, we’re not afraid to raise tough subjects. And because we like to surprise our viewers, don’t be astonished when we catch you with a camera somewhere unexpectedly at 7 o’clock a.m.”, Tomasz explained. AZStv started its activities successfully. During the first days of working, its website www.AZStv.pl registered around 3,000 viewers and this number still goes up. A good sign! but not Niagara Falls ... and not Nicola Tesla inventions ... but invention of Niagara music. Presentation of Canne de combat. TEAM - International competition of canne de combat, in Rodez (12) 19th and 20th of November 2011. Barbara Bardina said that she is savate champion? But does anybody know her? In this blog we don't have any information about Barbara Bardina in savate? And she uses savate to promote Herbalife products? Violent KO - Deborah - Savate club IPSO Valence(26) -finals - France espoir combat saturday - 3th of December 2011 in Salle Vallier, Marseille(13), France. American coach didn't throw a towel... but anyway is it normal for women to be exposed to injuries like that? Elodie Bermudez, Toulouse (- 48kg) preparation for combat - Boxe me Baby, documentary film of Nicolas Gaillard. Simunec - world champion 2011. This year happend so fast, but in a very short time this activities will be supported by the FISav and all the federations in exYugoslav region. I really don't know why Eurosport don't cover fights on a technical and tactical level like this fight was. Both fighters congratulations. Young talented french fighters on an early combat tecnical preparations. Seminar ADAC with Robert PATUREL - Boxe de Rue organisation - ASGAM 13th of November 2011 in MACON, France. AIBA boxing: Is contact pugilism in troubles? ABD HOW WILL FISav SAVATE BUILD ITS STRATEGY FOR THE FUTURE? Thousands of boys and girls younger than 19 years participate in boxing in North America. Although boxing provides benefits for participants, including exercise, self-discipline, and self-confidence, the sport of boxing encourages and rewards deliberate blows to the head and face. Participants in boxing are at risk of head, face, and neck injuries, including chronic and even fatal neurologic injuries. Amateur or Olympic-style boxing is a collision sport that is won on the basis of the number of clean punches landed successfully on an opponent’s head and body (Appendix).1,2 A match is won outright if an opponent is knocked out. Participants in boxing are at risk of serious neurologic and facial injuries.3–7 Despite these potential dangers, thousands of boys and girls participate in boxing in North America. In 2008, more than 18 000 youths younger than 19 years were registered with USA Boxing (Lynette Smith, USA Boxing, written communication, August 2009). The societal debate regarding boxing has raged for decades. Many authors and medical organizations have called for boxing to be banned (Table 1), citing medical, ethical, legal, and moral arguments. Others state that participants should be allowed to make autonomous decisions about participation and that the role of the medical profession should be restricted to the provision of injury care, advice, and information only. Supporters of amateur boxing state that the sport is beneficial to participants by providing exercise, self-discipline, self-confidence, character development, structure, work ethic, and friendships. For some disadvantaged youth, boxing is a preferential alternative to gangrelated activity, providing supervision, structure, and goals. The overall risk of injury in amateur boxing seems to be lower than in some other collision sports such as football, ice hockey, wrestling, and soccer. However, unlike these other collision sports, boxing encourages and rewards direct blows to the head and face. The American Academy of Pediatrics and the Canadian Paediatric Society oppose boxing and, in particular, discourage participation by children and adolescents. markers were associated with multiple or high-impact hits to the head. In addition, new MRI techniques have revealed structural brain abnormalities in boxers, including microhemorrhages. that 13% of matches ended because of concussions. Concussions are particularly concerning in children and adolescents, because there is evidence that a child’s brain is more vulnerable to injury and that recovery from concussion is prolonged when compared with adults.A prospective case-control study comparing neurocognitive recovery after concussion in high school (aged 14 –18 years) and college (aged 17–25 years) football and soccer athletes found that high school athletes had more prolonged memory dysfunction. Neuropsychological test values were significantly lower in concussed high school athletes than age-matched controls 7 days after injury, whereas college athletes recovered within 3 days after injury. Another prospective case-control study in high school athletes with concussion demonstrated memory impairment up to 10 days after injury. These findings can be extrapolated to young boxers, which suggests that they may take up to 10 days (or longer) to recover from concussions. Return-to-play (RTP) guidelines after sport-related concussions is a particular area of controversy. The most recent guidelines proposed by the Concussion in Sport Group, and endorsed by both the American Academy of Pediatrics and Canadian Paediatric Society, recommend that an athlete who has sustained a concussion rest, both physically and cognitively, until the symptoms of concussion have resolved completely. “Cognitive rest” in children means limiting scholastic and other cognitive stressors such as text-messaging, computer work, and video games. Because children may take longer to recover from concussions and because of the risks associated with head impact in younger athletes (ie, cerebral swelling), the Concussion in Sport Group recommends a more conservative approach to RTP decisions for children and adolescents, including no RTP the same day. It is appropriate to extend the length of the asymptomatic rest period to ensure that symptoms have resolved completely and then allow athletes to progress through a medically supervised stepwise graded-exertion protocol (Table 3). No athlete should return to sport without being medically cleared by an experienced physician. Concussion management and RTP decisions should be individualized on the basis of resolution of symptoms rather than prescribing RTP on arbitrary time frames. In particular, the current Boxing USA postconcussion boxing restriction period of 30 days or longer does not follow the latest Concussion in Sport Group guidelines (Appendix; Table 3). Chronic Traumatic Brain Injury The risk of chronic traumatic brain injury has been a concern of opponents of boxing. Numerous study authors have cited the risks of dementia pugilistica or chronic traumatic encephalopathy (CTE), thought to be caused by the cumulative effects of repeated blows to the head. CTE occurs in up to 20% of professional boxers. Most cases of dementia pugilistica occurred in the 1930s to 1950s, when boxing careers were much longer and involved more bouts. It is believed that the incidence of CTE will diminish in the modern era of boxing because of shorter careers, fewer bouts, and improved medical care; however, more longitudinal prospective studies are necessary to determine if there is truth to this assumption or whether other factors may play a role in changing rates of CTE. Although predominantly described in boxing, chronic traumatic brain injury can be associated with any sport in which there is a risk of repetitive head blows, including soccer, football, ice hockey, and martial arts. There is ample evidence indicating a cumulative effect from repeated concussive injuries. A prospective study of high school athletes compared neuropsychological evaluations of those with no history of concussion, asymptomatic athletes with 1 previous concussion, asymptomatic athletes with 2 or more previous concussions, and athletes who had sustained a concussion within the previous week. Asymptomatic athletes with 2 or more previous concussions had decreased performance on measures of attention and concentration, similar to athletes with recent concussion. Another prospective study of high school athletes found that those with a history of 3 concussions were more than 9 times more likely than athletes with no previous concussion history to demonstrate 3 to 4 abnormal on-field markers of concussion severity, including loss of consciousness, anterograde amnesia, and confusion. These study results raise the concern that repeated head injuries associated with boxing may similarly lead to long-lasting neurocognitive effects. they also do not protect against concussion. More research is needed to determine if there is an association of CTE with amateur boxing. Because boxing athletes participate in weight classes, part of the prebout medical examination involves weighing the athletes. Methods to maintain weight can be dangerous to young athletes. and strength as well as electrolyte imbalance and acidosis. Dehydration also negatively affects the acclimation process and thermoregulation during exercise. With increasing dehydration and electrolyte loss, the athlete is at risk of cramps, heat exhaustion, and heat stroke. examinations, which should be provided by physicians who are knowledgeable about common boxing injuries and appropriate RTP guidelines after any injury. 1. vigorously oppose boxing for any child or adolescent. 2. educate patients who may be engaged in or considering engaging in boxing, as well as parents/caregivers/teachers/coaches, regarding the medical risks of boxing. 3. encourage young athletes to participate in alternative sports in which intentional blows to the head are not central to the sport, such as swimming, tennis, basketball, and volleyball. 4. advocate that boxing organizations ensure that appropriate medical care is provided for children and adolescents who choose to participate in boxing, ideally including medical coverage at events, preparticipation medical examinations, and regular neurocognitive testing and ophthalmologic examinations. Amateur boxing: A sport in which participants fight and win points for scoring clean blows to the head and body above the belt. Matches consist of 3 or 4 rounds of 2 minutes each. No money is awarded. The age limit is a minimum of 11 years for bouts (none for training); there is no upper age limit. standing 8-counts in a match because of head blows. A 90-day restriction is applied if there is a loss of consciousness up to 2 minutes or if the boxer has had a previous concussion-related restriction. A 180-day restriction is applied if there is a loss of consciousness for more than 2 minutes or a previous 90-day concussion-related restriction. During the restriction period, the boxer is prohibited from sparring and competitive boxing but not from conditioning. The boxer must be reexamined by a physician at the end of the restriction period before return. Individual teams/physicians/coaches can implement their own management system in addition to the USA Boxing restrictions. Prebout and postbout medical examinations are required for all amateur competitions; these are brief examinations to rule out acute injuries that may limit participation. Ringside physicians must be present for all matches and may stop a match at their discretion at any point during the bout. A form of amateur boxing consisting of a single-elimination tournament in which participants compete for medals (gold, silver, bronze). Matches consist of 4 rounds of 2 minutes each. Professional boxing: A sport in which participants fight for financial gain. Matches consist of 4 to 12 rounds of 3 minutes each. Professional boxing regulation in the United States varies according to state. Protective equipment: Amateur boxers are required to wear a form-fitted mouth guard, a head guard, and a foulproof cup (males) or a breast protector (females). Professionals do not wear head guards. Rounds: Time periods of a boxing match. Scoring (amateur boxing): Electronic scoring has been used internationally since 1992. Participants are awarded points for clean blows to their opponent. A scoring blow requires that the white part of the glove, covering the knuckles, makes contact within the target area (above the belt). Standing 8-count: A referee can award a standing 8-count if a hard blow is landed or if a boxer seems to be outclassed. This time allows the referee to determine if the match can continue. Weight classes: Boxers compete in classes, or divisions, based on weight. ● Win on points: the boxer with the most points wins. ● Win by retirement: if a boxer voluntarily retires the match, the opponent is declared the winner. ● RSC opponent outclassed: referee stops the bout because a boxer is outclassed by his or her opponent. ● RSC opponent outscored: referee stops a bout because an opponent is outscored. ● RSC head blows: referee stops a bout because of head blows. Boxers who receive an “H” are evaluated by the ringside physician and issued a 30-, 60-, or 90-day restriction from sparring and competition depending on the severity of the injury. A boxer must be cleared by a physician before returning to boxing. ● RSC injury: referee stops a bout because of injury. ● Win by disqualification: if a boxer is disqualified for dangerous or unsportsmanlike behavior, the opponent is declared the winner. ● Win by walkover: a boxer’s opponent wins if a boxer fails to make weight, misses a scheduled bout, or is unable to compete because of medical reasons. ● No contest: a match that is called off for extenuating circumstances (lights fail, ring is damaged, etc). ● Winning a bout (professional): A professional boxer wins a fight by (1) knockout, (2) technical knockout, (3) decision, or (4) disqualification. ● Knockout (KO): occurs when a boxer is knocked down and does not get up within 10 seconds, as counted by the referee. ● Technical knockout (TKO): occurs when a boxer is judged physically unable to continue fighting. This judgment can be made by the referee, the official ring physician, the fighter, or the fighter’s assistants. If a boxer is knocked down 3 times in 1 round, the opponent wins on a TKO. ● Decision: results when boxers fight the scheduled number of rounds without a KO or a TKO. The winner is decided by the officials on the basis of a round- or point-scoring system. ● Disqualification: results when a boxer is disqualified for dangerous or unsportsmanlike behavior. 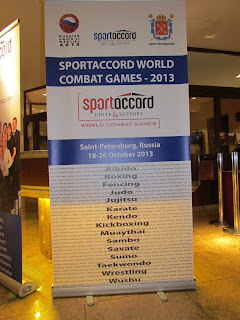 IS ITF TAEKWONDO (Ung Chan group) really Sportaccord recognised IF - International Federation? I don't think so. Probably it is only International sport organisation? An organization placed under Monegasque law, the Principality of Monaco gives Peace and Sport a unique framework for development so that it can accomplish its mission serenely on the basis of values that are its own: namely independence and neutrality. The only Head of State who is a five-time Olympian and IOC member, Prince Albert II of Monaco is one of the most legitimate personalities to promote the values of Peace and Sport at such a distinguished level. His respected personality and his long-standing commitment to peace, sport and the environment guarantees the impartiality of the organisation. "I am proud to bring my High Patronage to ‘Peace and Sport, l’Organisation pour la Paix par le Sport’ a humanist initiative that through sport, promotes a spirit of civic-mindedness, of dialogue and of acceptance necessary to ease tensions and establish peace in the world. I am convinced that this organisation, driven by a spirit of generosity and solidarity, brings vulnerable communities the possibility to surpass their differences and contribute to shape a more unified, more peaceful world, concerned with preserving the dignity of each and every man and woman." Joel Bouzou is President and Founder of "Peace and Sport, L’Organisation pour la Paix par le Sport”. In 1991, he founded the association “Rassemblement par le Sport (RPS)”, which encourages the social integration of young people living in the outskirts of cities through sport. Peace and Sport was founded as an extension of RPS based on an observation and a certainty. The observation was that governments, international organizations and major stakeholders in civil society are always looking for ways to bring about sustainable peace in regions where conflicts persist. The certitude was that sport is a universal language in which there is one rule that unites everyone. Much more than a game, it is a tool for dialogue, brotherhood and respect that transcends political, social, racial and religious differences that are often at the heart of conflicts in this world. Thus, in 2007 Peace and Sport was founded with the aim of taking concrete action for peace, offering actors for peace solutions based on core values generated by sport and by mobilizing the sports movement to promote peace. An elite Pentathlete, Joel has participated in four Olympic Games (Moscow 1980, Los Angeles 1984, Seoul 1988 and Barcelona 1992) receiving the bronze medal at the 1984 Games. In 1987, he won the title of World Champion in Modern Pentathlon. Deeply involved in the development of his preferred sport, since 1997 Joël has been Secretary General of the International Modern Pentathlon Union (UIPM). He has also been an Advisor to H.S.H. Prince Albert II of Monaco since 2006. Finally, Joël Bouzou is a member of the Scientific Committee of the Sport and Citizenship Association. He holds a Masters degree in Law and Sport Economics.